The nonprofit Emirates Marine Environmental Group organization was founded in the year 1996 by the expert of Emirates Marine Environmental Group, Ali Saqar Sultan Al Suweidi with the support of Her highness Sheikha Manal bint Mohammed bin Rashid Al Maktoum. Emirates Marine Environmental Group is the first organization serving its purpose in spreading the awareness about wild life. The actual mission of Emirates Marine Environmental Group is to grant protection to endangered wildlife, promote environmental education and conserve this precious gift of nature for the future generation. Various programs and sessions are organized in order to deal with the environmental issues and encourage people to step forward in making marine life secure and beautiful. The experts of marine and the underwater world schedule various lectures in which people are given education about the exotic and awe inspiring underwater world. Various underwater activities are scheduled such as photography and snorkeling. Education is given on keeping the water clean and helping in saving the life of water creatures. There is no availability of public transport near the location of Emirates Marine Environmental Group. 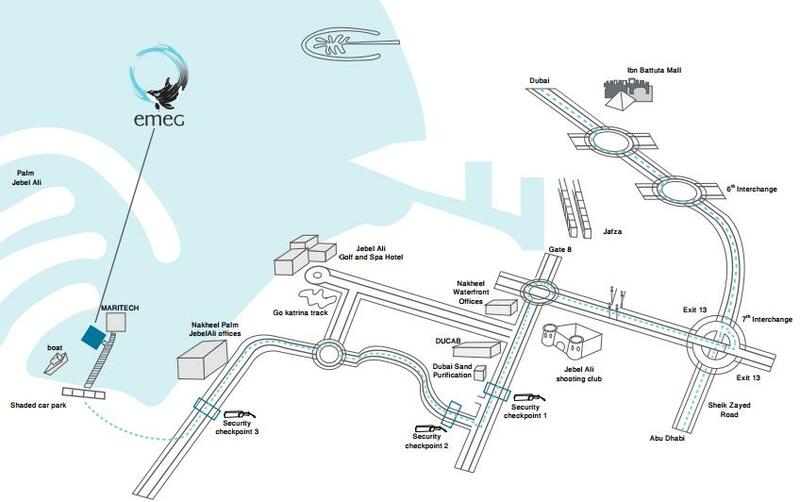 The center is situated in Ghantoot the Sheikh Zayed Road. Right next to Ghantoot Racing and Polo Club the venue is located. After passing through an interchange you will have to go through three security check points. If you have your own car, then park it in the shared car park present right outside the venue and then cover rest of the distance by walk.